Want to find out what happens when you put art and science in a test tube and shake? The Arts Vs Science Festival to be presented on 18 August 2018 as part of National Science Week is Lismore’s own petri dish of creative exploration, its paint palette of scientific discovery. Now in its third year, thanks to the support of Inspiring Australia, the Art Vs Science Festival offers something for everyone. And in 2018 it’s coming to the Quad! 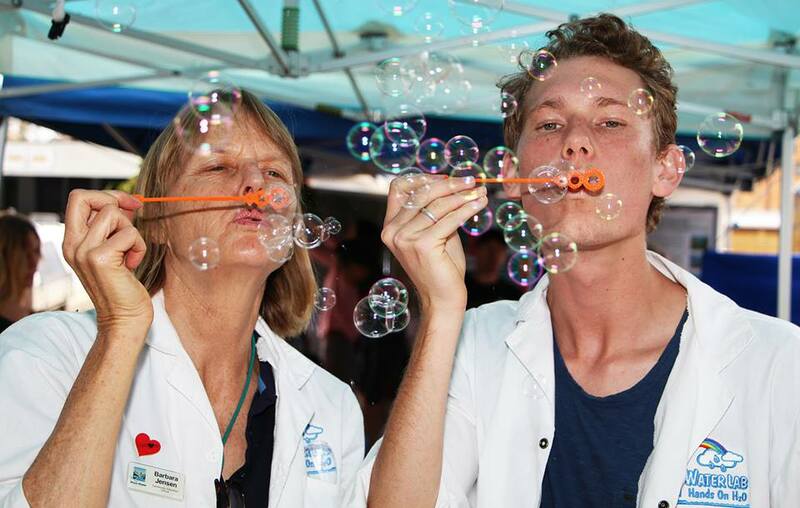 Created by the Northern Rivers Science Hub and designed to coincide with National Science week, this one-day arts, science and music festival is a multi-dimensional exploration of the intersection of Art and Science. “This event is a fantastic way to showcase experimental and cross-disciplinary platforms in an open-air environment which is what our program is all about” said Quadrangle Placemaking officer Marisa Snow. Sculpted for your enlightenment, the Arts Vs Science Festival has found the equation for success: interactive science and arts workshops in the Science Lab, thought-provoking discussions on innovative arts/science ideas in the Bright Ideas space, installations and exhibitions from some of the region’s foremost artists, daytime astronomy and ideas market, and live music. The Arts Vs Science Festival brings together artists and scientists (and everyone in between) from some of the region’s leading education, research and action institutions. By harnessing the collaboration that forms the core of the Northern Rivers Science Hub, offers something for everyone. We’ll blow the kids’ minds (and other things up) and expand your thinking. We’ll fill your ears with new sounds and wild ideas, your belly with tasty local produce (and show you how to reduce food waste) and open your eyes to how these creative expressions of our world can help us to interpret our own lives. We’ve even got a silent disco and a licensed bar on site. The Northern Rivers Science Hub is a regional focal point for science communication and engagement activities in the Northern Rivers NSW. It is a collaborative network of partners from across community, industry and government who share a vision of “Science education to inspire sustainable futures and connected communities”. Partners in the Northern Rivers Science Hub include Lismore City Council, Rous Water, Dorroughby Environmental Education Centre, Lismore Rainforest Botanic Gardens, EnviTE – Environment, Far North Coast Weeds, Richmond Landcare Inc., Friends of the Koala and North East Waste, North Coast TAFE, and Southern Cross University. The Northern Rivers Science Hub is a part of Inspiring Australia, the national strategy for community engagement with science whose mission is to connect Australians with the science, technology, engineering and maths that are fundamental parts of our lives, our society and our culture. Guest post by Kristin den Exter. The Art vs Science Festival is part National Science Week 2018 and received grant funding from Inspiring Australia.